Harry W. Colmery, past national commander of The American Legion, writes in longhand on hotel stationery the first draft of what will later become the "GI Bill of Rights," the Legion's greatest single legislative achievement. Today, the Legion is at the forefront of efforts to improve benefits for this nation's newest veterans, those who've served during Desert Shield/Desert Storm and are serving today in a variety of peacekeeping roles. The American Legion votes to contribute funds to the field of mental health with the provision that the three major mental health organizations then in existence be amalgamated into one. They accepted this provision and the National Association for Mental Health was born. Korean War veterans are approved for membership in the Legion. The American Legion Child Welfare Foundation is formed. Since that time, the foundation has awarded $4 million to youth-oriented organizations and projects designed to help America's children. Vietnam War veterans are approved for membership in the Legion. The American Legion voices great concern over the fate of POWs in Vietnam. Today, the Legion continues to press for a full accounting of POW/MIAs and has formed a special group from among the nation's major veterans organizations to take the lead on this issue. The American Legion implements the Halloween safety program for children. Today, it remains the only national program of its kind. The American Legion presents a $1 million check to the Vietnam Veterans Memorial Fund toward the construction of "The Wall" in Washington, D.C. The Legion, which had solicited donations from its members, eventually became the largest single contributor to the project. The first Korean War veteran is elected national commander of The American Legion. 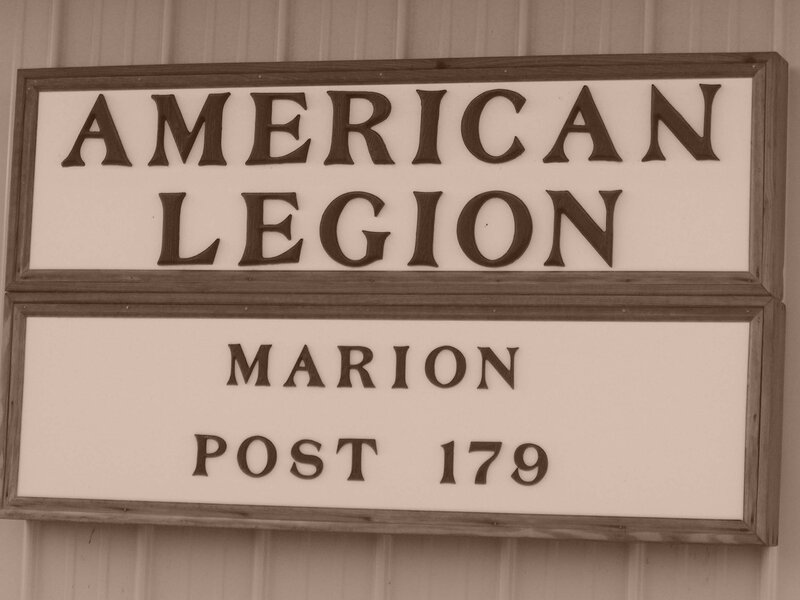 The American Legion announces its sponsorship of an independent study on the effects of exposure to Agent Orange on Vietnam veterans. The results of "The American Legion-Columbia University Study of Vietnam-era Veterans" were presented to Congress in 1989. The first Vietnam War veteran is elected national commander of The American Legion. The new Department of Veterans Affairs, elevated to cabinet-level status, begins operations. The American Legion had fought hard for the Veterans Administration to become a cabinet-level department, arguing that veterans -- as an important segment of society deserved representation in the highest councils of government. The longstanding objectives of The American Legion to improve adjudication procedures for veterans' claims are achieved as the U.S. Court of Veterans Appeals begins operations. Most of the provisions contained in the law creating the court originally were included in the Veterans Reassurance Act, which was written by the Legion and introduced in Congress in 1988. The American Legion files suit against the federal government for failure to conduct a study, mandated by Congress, of the effects of Agent Orange on the health of Vietnam veterans. The "Family Support Network" is formed by The American Legion to assist the families of military personnel deployed during Operation Desert Shield/Desert Storm in the Middle East. The Network stepped in to help in a myriad of ways, from offering financial assistance to mowing lawns to baby-sitting to providing a sympathetic ear. Today, the Legion's Family Support Network continues in existence to assist America's newest veterans, particularly with employment, as they return to civilian life. Veterans of Lebanon, Grenada and Panama hostilities are approved for membership in the Legion. The American Legion's first annual Junior Shooting Sports National Air Rifle Championships are conducted at the Olympic Training Center at Colorado Springs, Colo. Each year more than 600 high school students enter the contest, which is designed to teach gun safety and marksmanship. Veterans of Desert Shield/Desert Storm are approved for membership in The American Legion. Today, the Legion continues to press for improved educational and medical benefits for Gulf War veterans. The first class of recently discharged veterans begins training in Sterling, Va., for eventual placement in well-paying jobs in the construction industry. The landmark training and job-placement program is a joint effort by The American Legion and the Laborers' International Union of North America to assist veterans returning to an uncertain job market. The American Legion announces creation of the Citizens Flag Alliance, a coalition of organizations and individual citizens, to work for a constitutional amendment to protect the American flag from physical desecration. The American Legion announces partnership with the Air and Space Museum to develop an exhibit for the bomber Enola Gay, which dropped an atomic bomb on Hiroshima. Previous museum plans had drawn intense criticism from veterans, scholars and the public. The American Legion announces Legion's acceptance of a scaled-down exhibit "without political commentary" for the Enola Gay, ending the greatest controversy in the Smithsonian Institute's 149-year history. Senators Orrin Hatch (R-UT) and Howell Heflin (D-AL) introduce Senate Joint Resolution 31, calling for an amendment to the US Constitution to protect the American flag from physical desecration; Representatives Gerald Soloman (R-NY) and G. V. "Sonny" Montgomery (D-MS) introduce a similar bill, House Joint Resolution 79, in their chamber. Hawaii state lawmakers adopt flag memorializing resolution becoming the 49th state to do so; Vermont is the only state not to pass the measure. HJR 79 clears House 312-120; 290 votes were needed for the two-thirds majority required for passage of a constitutional amendment. SJR 31 passes Senate Judiciary Committee in a 12-6 vote. The American Legion forms its Persian Gulf Task Force to enhance TAL's service to America's newest generation of wartime veterans, thousands of whom suffer from illnesses linked to their service in the region. Senate rejects SJR 31 by a vote of 63-36, three votes short of required two-thirds; The American Legion pledges to continue the fight for the amendment. Reps. Gerald Solomon (R-NY) and William Lipinski (D-IL) introduce HJR 54, a flag-protection constitutional amendment. The American Legion awards a $20,000 postsecondary scholarship to each of the 10 inaugural Samsung American Legion high school scholars. The American Legion National Emergency Fund surpasses the $1 million mark in cash grants given in 1997 to flood victims who belonged to The American Legion, the American Legion Auxiliary and the Sons of The American Legion. Most of the grant recipients reside in the Ohio River flood plains of Ohio, Kentucky and Indiana as well as in Red River flooded areas of Minnesota and North Dakota. US House passes HJR 54, a flag-protection constitutional amendment, by a vote of 310-114. The American Legion presents its first ever National Law Enforcement Officer of the Year award to Cpl. William T. Rhodes of Huntington, Pa., during its 79th National Convention in Orlando, Fla.
National Commander Anthony G. Jordan testifies before members of the US House and US Senate Veterans Affairs Committees. US Rep. Robert Stump (R-AZ) promises congressional hearings would be held on the GI Bill of Health, TAL's plan to improve the Department of Veterans Affairs health care system. Senators Orrin Hatch (R-UT) and Max Cleland (D-GA) introduce S.J. Res. 40. The amendment has 61 co-sponsors to date. Sen. Majority Leader Trent Lott brings SJR 40 to the floor of the U.S. Senate asking for unanimous consent to proceed to debate and vote. Sens. Robert Kerrey (D-NE) and Patrick Leahy (D-VT) objected to consideration of the resolution, citing lack of time to sufficiently debate the amendment. With that the measure was lost in the 105th Congress. Reps. Randy "Duke" Cunningham (R-CA) and John Murtha (D-PA) introduce H.J. Res. 33, a constitutional amendment which would return to the American people the right to protect their flag. Rep. John Sweeney (R-NY), who replaced retired Congressman Gerald Solomon, is also leading the co-sponsor drive by shoring up support among newly elected members of Congress. Senators Orrin Hatch (R-UT) and Max Cleland (D-GA) introduce S.J. Res. 14. The amendment has 54 cosponsors. In all sixty-four Senators have pledged their support of the amendment. The U.S. House of Representatives, by an overwhelming majority, passes H.J. Res. 33 by a 305-124 margin, 15 votes more than was needed for the two-thirds majority required for passage of a constitutional amendment. Senate Joint Resolution 14, the Flag Protection Constitutional Amendment, falling four short of the necessary 67 votes, is lost 63-37 in the United States Senate. Once again a clear, but insufficient, majority supported it. Once again, a small number of US Senators made it clear they place no trust in the American people and have a mere spoken regard for the importance the people place on the Flag of the United States. For the remainder of the year, the Citizens Flag Alliance focuses in two broad areas: recognizing supporters in the 106th Congress and determining the position of every candidate seeking a seat in the 107th. Three hundred sixty-eight members of Congress (305 Representatives and 63 Senators) receive a formal, personal thank-you and a small memento from the CFA groups in their state. More than 1,000 candidates for federal office are queried on their support for a flag protection amendment. When election returns are finalized, more than 300 Representatives and 60 Senators are seated and on the record as flag amendment supporters. The CFA produces another in a continuing line of video pieces that depict the importance of the flag and call to action, during the 107th Congress, the 141 Organizations that make up the Citizens Flag Alliance. A press conference is called in Washington, DC, to announce the introduction of the flag protection amendment in both chambers of the 107th Congress. Senators Max Cleland (D-GA) and Orrin Hatch (R-UT) become the Chief Cosponsors in the US Senate, while Representatives Randy "Duke" Cunningham (R-CA) and John Murtha (D-PA) champion the cause in the US House of Representatives. The House resolution, HJR 36, enjoys official cosponsorship from more than 100 members. In the Senate, SJR 7 counts 40 official cosponsors. Efforts toward a cosponsor drive in both chambers continue. A special thanks goes to www.Legion.org for providing this information for us.